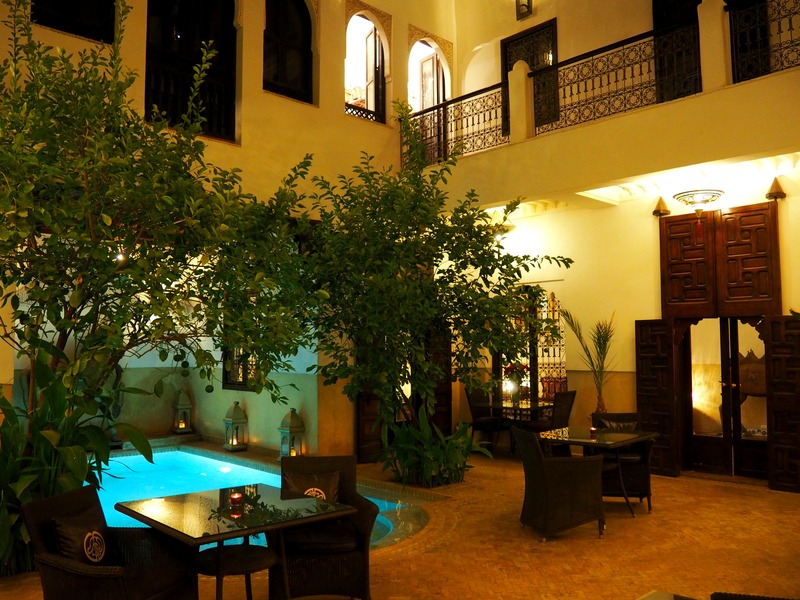 There are so many riads to choose from but as soon as I found Riad Assakina it was like love at first sight. 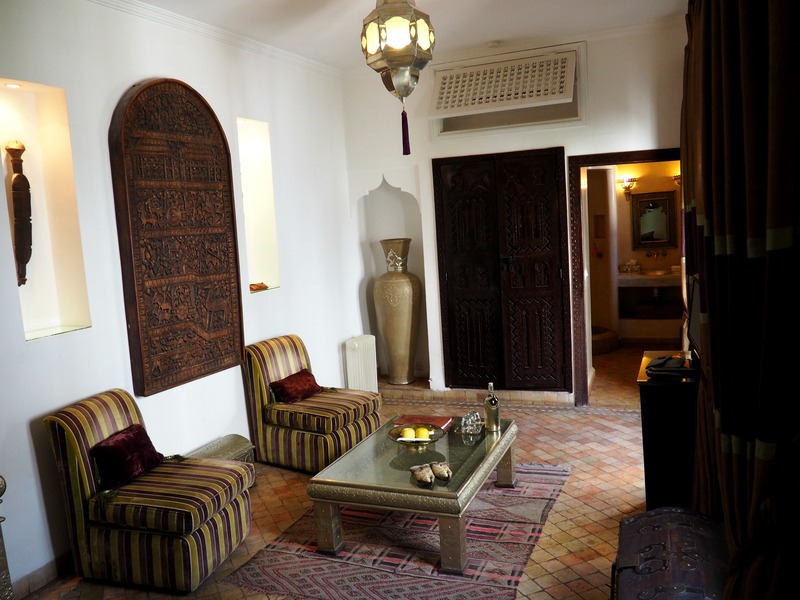 This was where we had to stay; it was gorgeous, it was perfect, it was everything I had imagined a Moroccan riad to be. It was traditional but with a luxurious feel and as soon as we arrived I was so pleased to see that it looked just as wonderful as the photos online had made out. 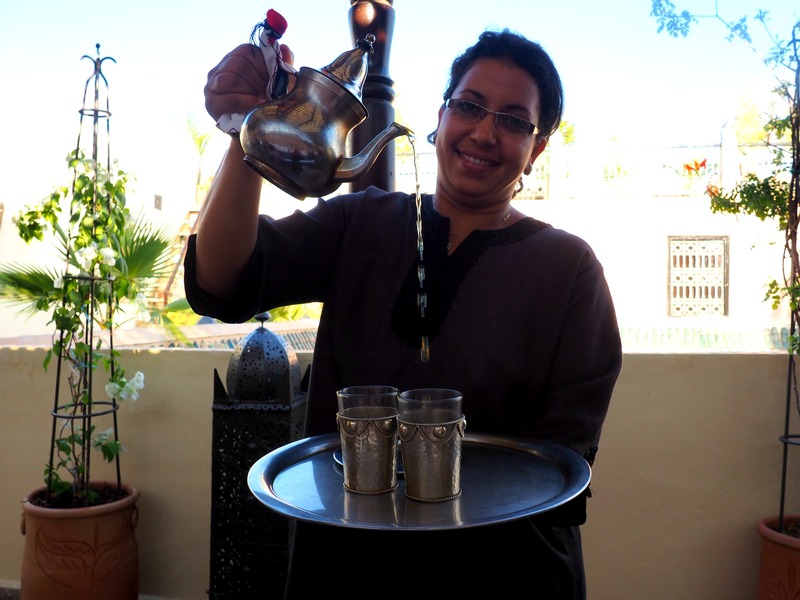 Grant and Michele, the lovely owners of the riad, made us feel at home straight away offering us some mint tea, finding out what our plans were, booking taxis and arranging hamman appointments, giving us tips, recommendations and helpful maps. The maps are essential as Marrakech is a huge maze full of narrow alleys that you’re bound to get lost in. We did – several times – but that’s all part of the adventure! We stayed in the Kiad Suite and, even though I always want to head straight out of the room and start exploring whenever we visit a new destination, I could easily have stayed in our suite all day! It was gorgeous and so spacious with a raised platform for our huge bed at one end and a sitting area with comfy chairs and a dressing table at the other end. 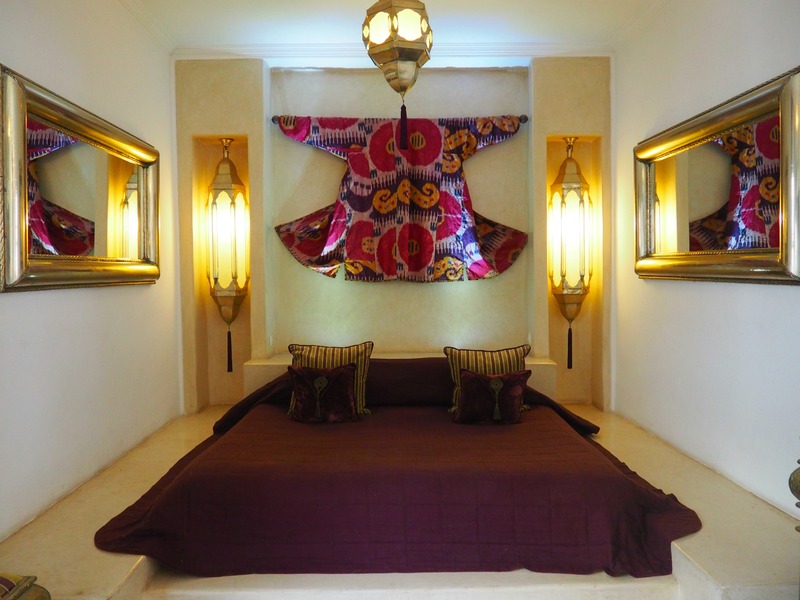 The room was adorned with African style decorations from huge vases and ornate chests to pretty flowers and Moroccan slippers. 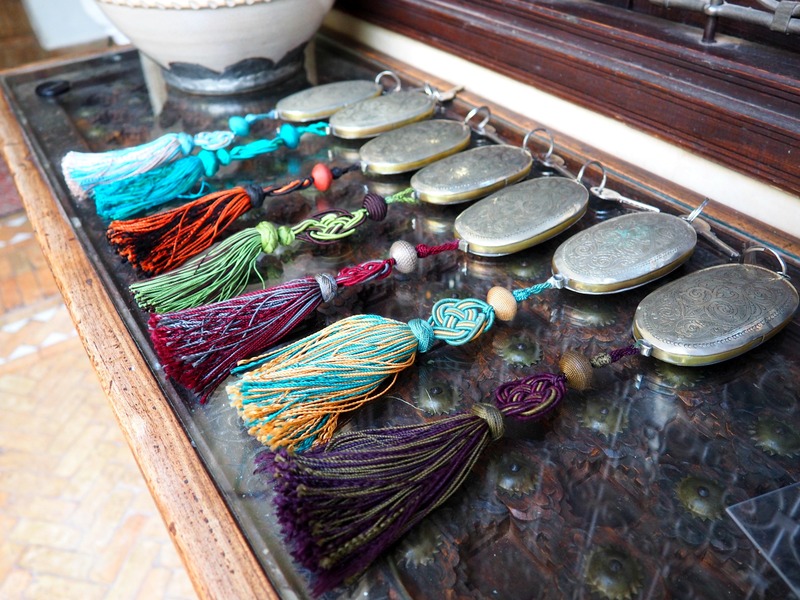 There were little details and Moroccan touches all around the riad even as far as the keys colour coordinating with the curtains for their respective rooms. 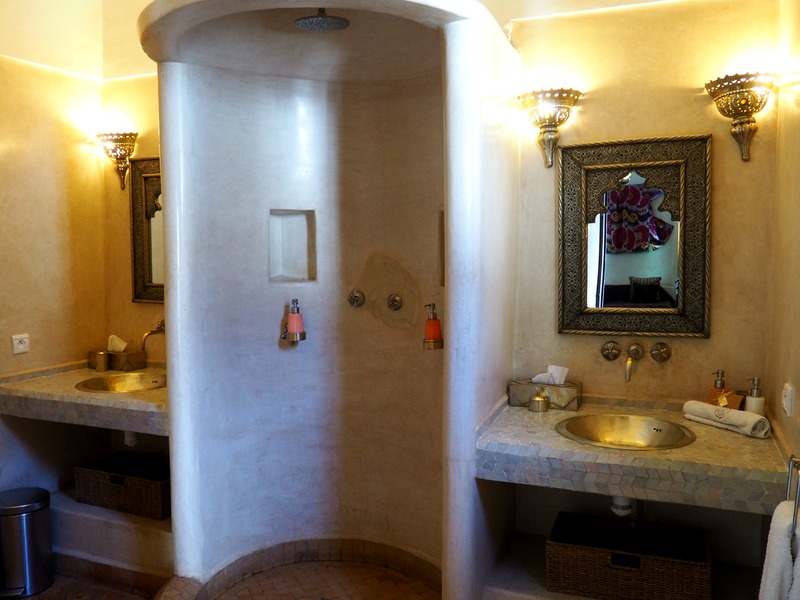 Our bathroom was a traditional Tadelakt style with dual sinks and Mr Ayla was very politely told to keep to his own. 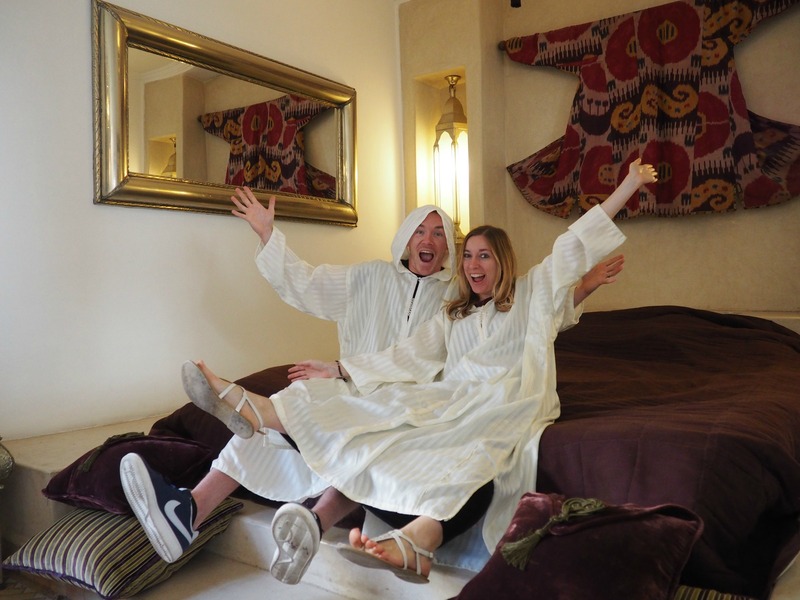 We even had our own djellaba robes to wear which, if I do say so myself, we looked super cool in. We can totally pull off the traditional Moroccan style of dress right? 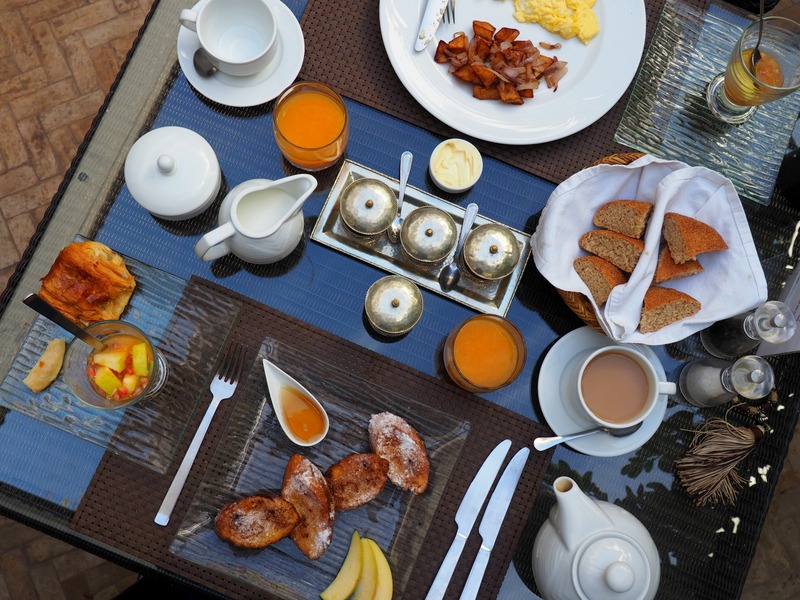 Every morning a feast of fresh bread, pastries, fruit, pancakes, orange juice and mint tea greeted us in the courtyard by the pool along with a selection of deliciously sweet extras to fill us up until lunch time. Actually it would have filled us up until long after lunch but obviously I wasn’t going to miss out on trying as much Moroccan food as I could! 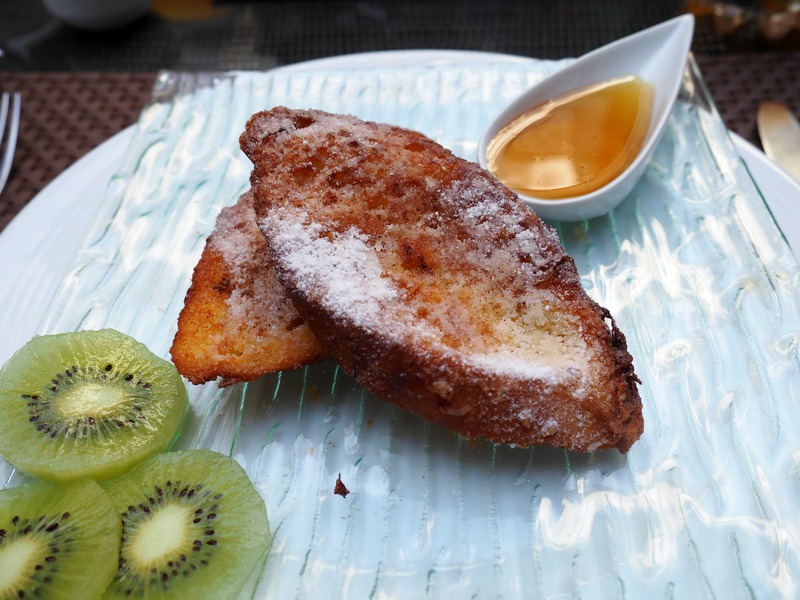 I didn’t care how sugary sweet the French toast was – this stuff was amazing! Although I can now see why so many Moroccan people seem to loose their teeth! 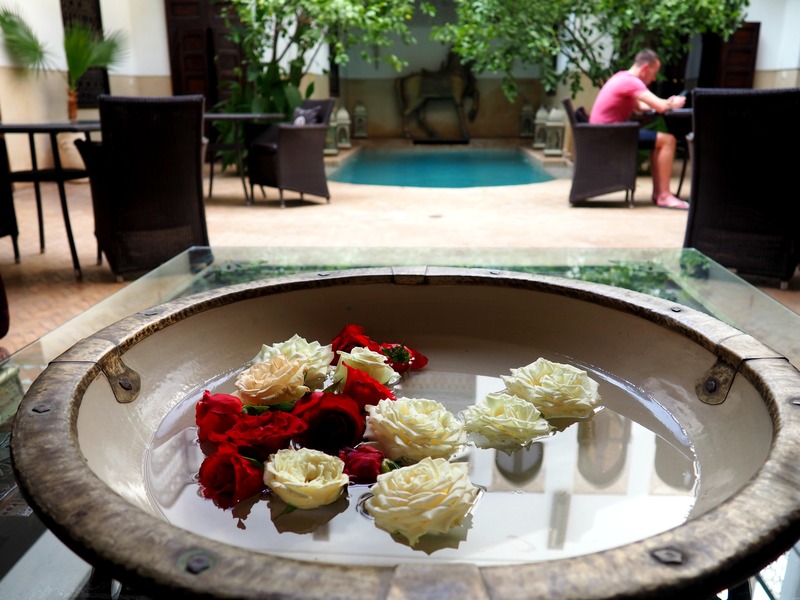 After lots of wandering around the city, through the bustling souks and along the hot dusty roads, it was like entering a different world when we returned to the haven of the riad. The noise of roaring motorbikes, beeping horns and bustling people was left behind. 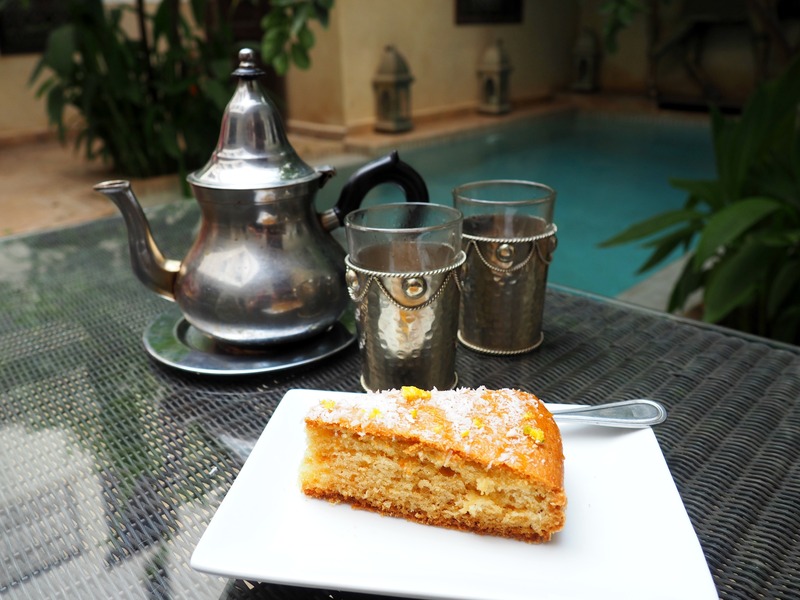 It was an oasis of calm; the trickling pool surrounded with plants and bird of paradise flowers, Zak the cat sleeping peacefully on his chair, and Naoual ready to greet us with complimentary afternoon tea. We loved spending the afternoon relaxing on the sun loungers on the rooftop and soaking up the last bit of sunshine we were likely to see for a good few months before going back to cold rainy London. Then later on, while Mr Ayla was napping from all the walking I’d made him do, I’d pop up to the rooftop again to watch the gorgeous sunset over the city while the call to prayer could be heard in the distance. Yep, this is a pretty magical place. 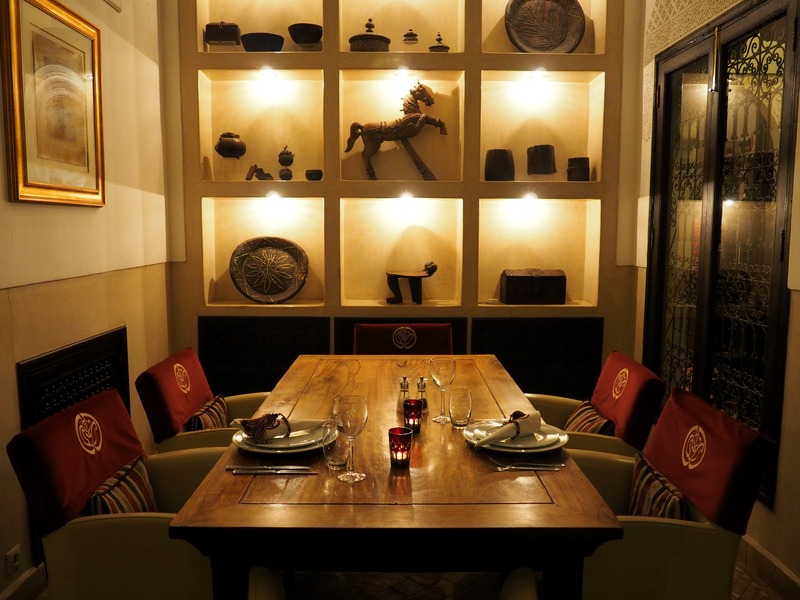 We ate dinner in the riad’s dining room one evening where our table set up for two with the staff waiting on us and no one else around made it feel like the most romantic way to spend an evening. The food is amazing but I warn you that Moroccan dishes come in big sizes so I found myself full after just my starter of salads! Neither of us had room for dessert but we made up for it the next day with more afternoon tea. I have been worrying lately that I’m becoming harder to please – my expectations are always so high that I’ve found myself disappointed a few times when it comes to travelling. 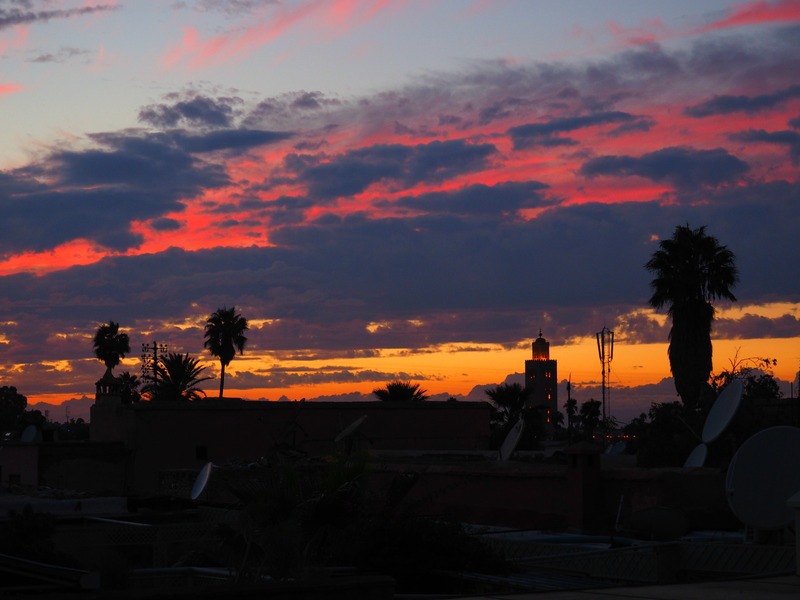 And before this trip to Marrakech my expectations were extremely high. But I can honestly say that those expectations were met – actually no, they were exceeded – in every single way. There was not a single thing about our stay here that I didn’t love. We felt so at home from the moment we arrived and it was wonderful to enjoy a relaxing break chilling out in the sunshine, dipping our feet in the splash pool and playing games in the courtyard when we weren’t out exploring the city. All the staff felt like friends we’d known for years whether it was chatting to Grant and Michele about their lives in Marrakech or Hicham telling us about the city’s history and kindly getting me medicine when I felt ill. Neither of us wanted to leave and we’re already planning our next trip back. 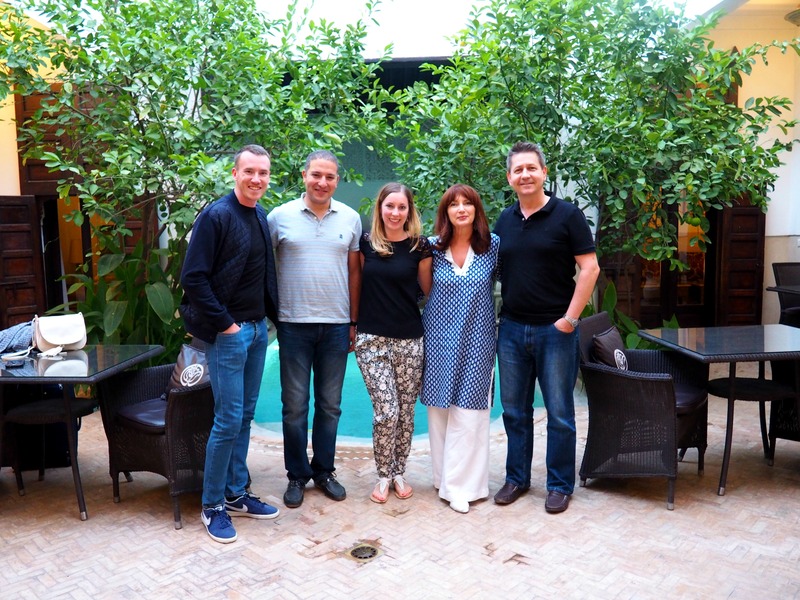 A huge thank you to Grant, Michele and all the staff at Riad Assakina for a wonderful stay. Can we come back please?! Amazing it looks so authentic and special. Plus i love Morrocan food! The food out there was so good Angie! And this was the perfect place to rest off our food comas! Oh, it looks just absolutely perfect, such lovely Moroccan decor and I really like the design of that bathroom with the shower in between the sinks, never seen that before! 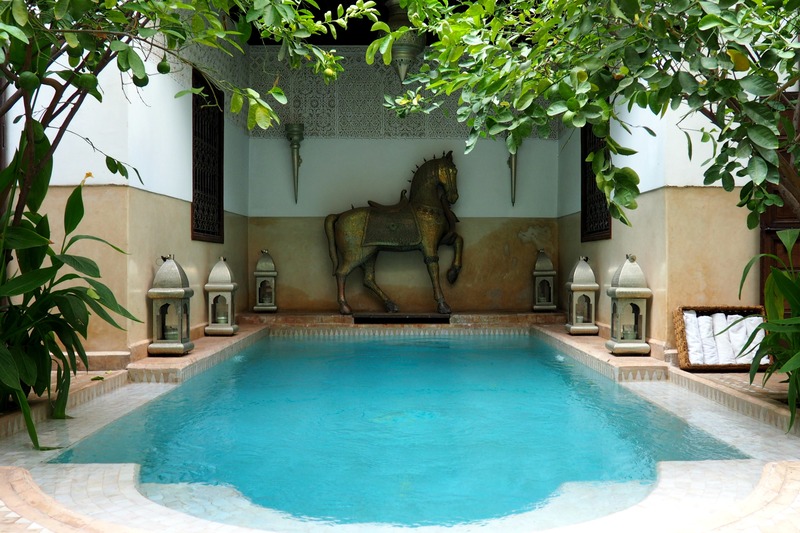 Perfect spot for a Marrakech break! It was so lovely Sara! life’s tough sometimes, isn’t it? Looks gorgeous! 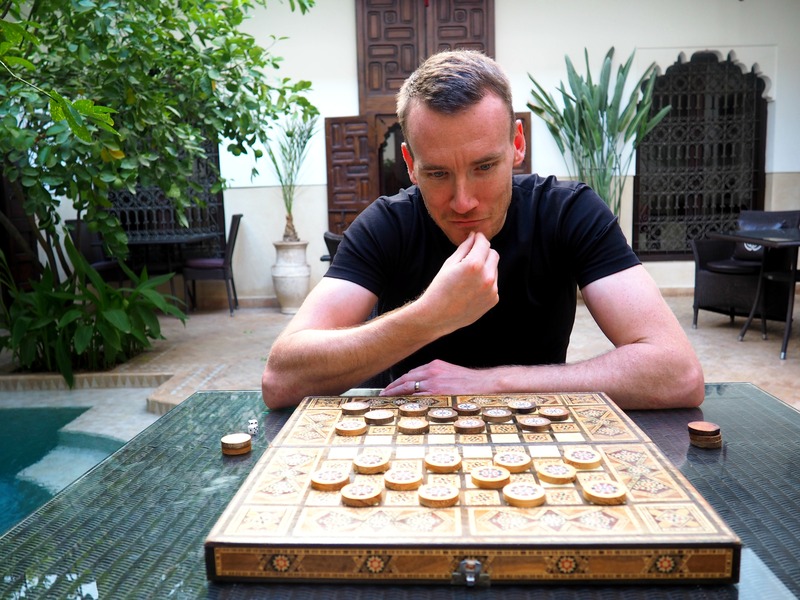 I love Moroccan riads – my absolute favourite was Riad Dar Maya in Essaouira but I have a vacancy for a Marrakesh favourite so if we go back I will definitely try this one out!